Welcome to the new blogsite for information and feedback on Sola Publishing educational materials. This site, called "Sola Publishing - Table Talks" will share information on current educational materials available through Sola, as well as new materials in development. Come back again; much more will be coming soon — including a new Bible Story-based Sunday School Curriculum series, as well as the first in installment in Sola's new Confirmation Series (on the Apostles' Creed), both coming this Fall. 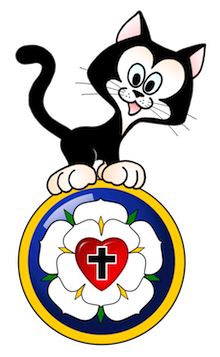 In the meantime, if you are looking for solid biblical Lutheran educational materials — whether it be for established or new mission congregations — please check out the Sola Website at: www.solapublishing.org.